HOW TO MARKET ON INSTAGRAM3 Simple Steps to Get Followers, Massive Engagement, and Sales! What if there was a way you could harness an Instagram strategy that lets you tap into this 1 Billion user platform to find your most targeted prospects for your business? That’s what you’re about to learn right now! If this doesn't get you excited - we don't know what will! Of course since we’re best known for helping home business owners attract new leads and customers here at MLSP, we’ll be focusing with home business owners in mind. However you can transfer what you’re about to learn to any business. So the question is how would it feel if you could wake up and your biggest problem was how to deal with all the new leads and customers that have come in? Would things look a little different for you right now if you had dozens (even hundreds) of new people following you and your brand every single day? 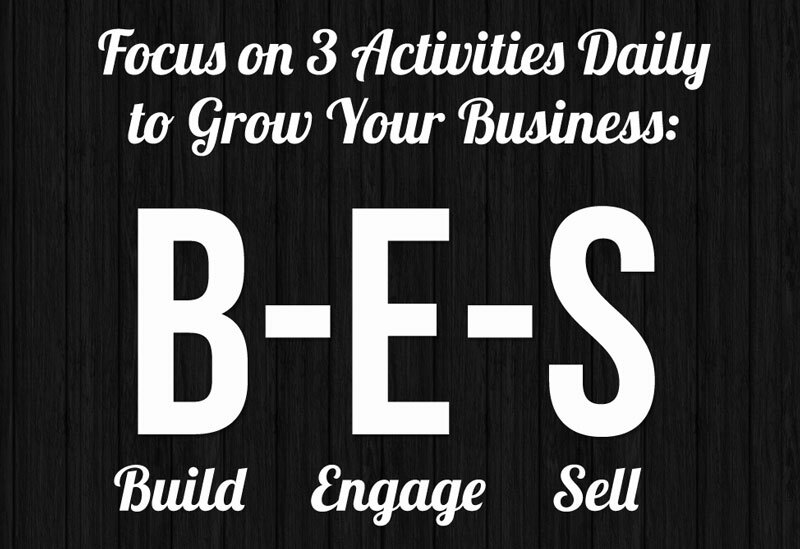 And more importantly actually seeing YOUR products or business opportunity? How much better would the time spent with your family be... if you only needed to focus on getting sales and sign-ups. All because the leads were coming to YOU instead of having to spend that time chasing people. That’s exactly what can start happening for you once you tap into this massive user base that Instagram has. WHO'S TEACHING YOU HOW TO MARKET ON INSTAGRAM?MLSP Power-Couple Todd & Leah Getts are Going to Share Their Exact Formula in This Article! Instagram is where Todd and LeahReah Getts got started with their home business, how they broke through struggle, and got their first leads and sales. Now their students regularly generate thousands of highly-engaged followers every month! Instagram is the platform where they started ranking higher in their opportunity and here at MLSP (L7 is our highest rank only achieved by one other person so far!) It’s worked for them and many others they’ve taught, and now you’ll have it to use for YOU. Then what you’re about to learn here will be extremely refreshing! Watch the Video Below to Meet L7 Leaders Todd & Leah Getts -- and Hear Their Story of Going from Struggling Just 2 Years Ago to Now Retired and Financially Free! Although Instagram was launched back in 2010, it’s actually still in a massive momentum stage. And it’s quickly become one of the best places to grow a following and get ENDLESS TRAFFIC, leads, sales, and signups. And that’s the key to why it’s so powerful for you as a home business owner. The fact is, your ability to scale up your business and make more money online will be determined by how much traffic you can drive to your offer. Traffic simply equals sales and signups. How Does Instagram Compare to Other Traffic Options? Of course Instagram isn’t the only traffic source online as you know. Some of the more popular sources are Facebook, Blogging, YouTube, and Twitter. All are good options, but in comparison... each has some significant drawbacks. Since prospecting on Facebook one by one, the best option on Facebook has become with paid ads. However for someone who’s new, there’s a steep learning curve, a ton of rules, and experimenting can be quite costly. YouTube is another option, but to get any traction you must rank, and that takes time, and knowledge of complicated algorithm formulas. In other words results are slow to come in, and so this is more of a long term game to perhaps tackle later. Twitter is actually a great source of FREE Traffic. It can be automated and you can do 80% of your marketing with FREE Tools. And people do get amazing results even when they’re brand new. In fact Todd & Leah Getts have a great Twitter strategy that’s helped them grow a huge portion of their business. But Instagram still beats the pants off Twitter. And...you only have to post ONCE per day to be effective! Instagram is the fastest growing social media platform online, has the highest engagement, and you can grow your audience, and get traffic and leads...for FREE (no paid ads!) And you can even automate your posting and audience growth! Perhaps the best part is that you don’t have to be techy, and much of the process can be automated, with great results coming from just one post a day! "Why use Instagram in your marketing? 80% of users follow a brand on Instagram! Making it THE social network to help build your brand!" 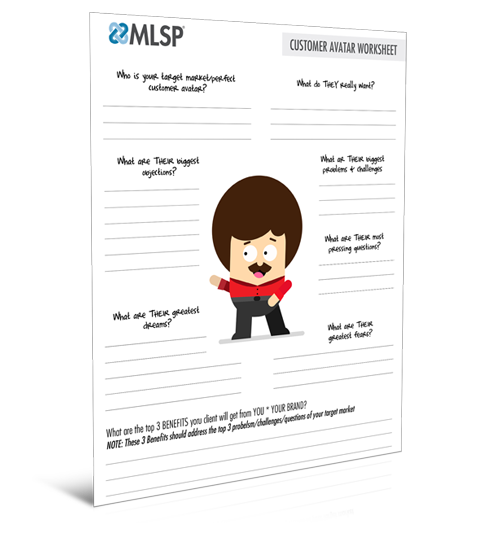 So if you understand that MLSP is all about attraction marketing and brand building, then it won’t be a surprise to you to hear what the 3 steps are. So now the question you should be asking yourself is how do you do these three steps on Instagram. Luckily it’s easier than you might think, and even if you hate the techie stuff, you’ll be fine. COMPANION VIDEOWatch Below to See Why YOU Should Be Using Instagram to Build Your Business Starting TODAY! This is the step where you’ll build your audience. Your audience should be targeted prospects who will be most likely to want to follow you, want to engage with you, and most importantly want to BUY from you! Before you find the right people, you have to know who the right people are! What is your target market’s wants, needs, interests, etc? Who is my perfect prospect already following? What hashtags are they searching for? What are they posting about? And therefore what kind of #hashtags do they use? If you’re just starting out you might not even know what a hashtag is. If you’ve ever seen a word or phrase with a # in front of it, then you’ve seen hashtags. For instance if you’re interested in health (or promoting a health & wellness business) then you might use a hashtag like #crossfit or #ketogenics or #bodytransformation as a hashtag if you’re trying to attract those types of health minded people. Hashtags act as keywords that people can search for, so they find your picture of Italy, or see your cruise pics! Hashtags can be used to both attract followers, or as a search keyword to find NEW followers! If you are new to the 'Instagram lingo' check out our beginners guide to the Instagram Language. Once you FIND your perfect prospect, you have to get them to follow you. And luckily that’s pretty simple on Instagram. You simply INVITE them to follow you. And to do that...you just have to follow them. It’s called ‘Follow for Follow’ and it’s essentially like asking for a “Friend Request” on Facebook. One of the best and fastest ways is to simply find other accounts that have the targeted followers that you want, and purge through their “Followers” list. Pretty simple right. 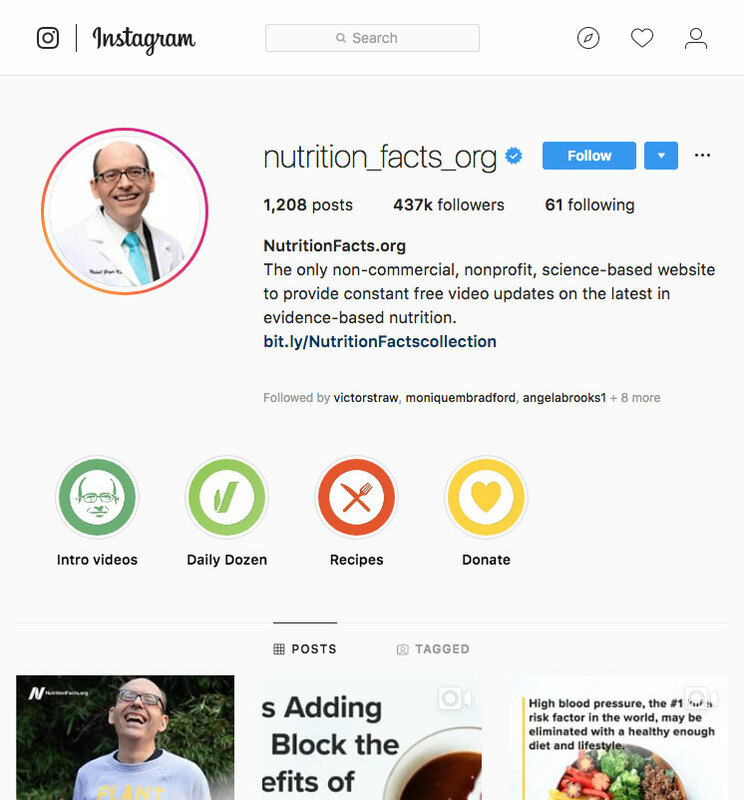 You do a little research and find a popular account like @nutrition_facts_org. As you can see, this account has 437K followers, tons of people who would likely be interested in your niche. You can then click their followers to see who their followers are! Next you just hit the follow button conveniently on the right hand side of the list. Some might follow you back, some might not, but the ones who do will have checked out your account and therefore would be qualifying themselves as targeted. Super simple! 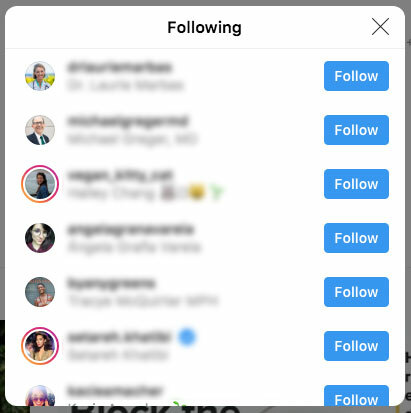 How Well Does the Instagram Follow for Follow Strategy Work? Todd & Leah’s student Kim Sousa was able to get 1685 followers in 12 days on just one of her accounts. Only 3 months later she was up to over 17K followers! It works! They're getting leads daily from just this! 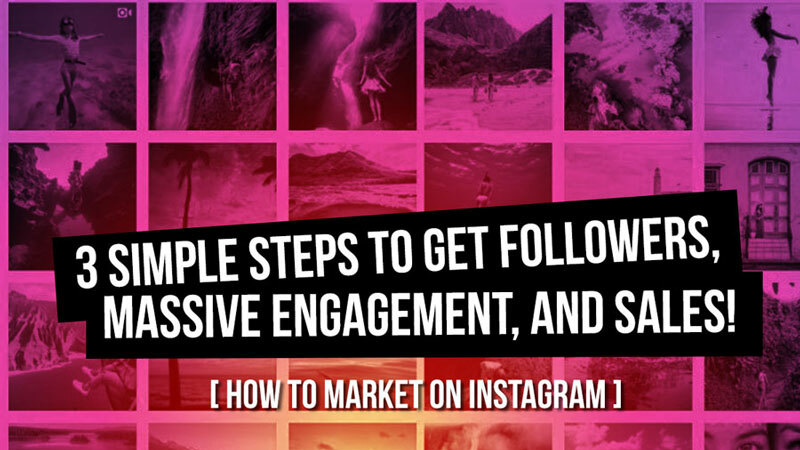 Now that you’re getting followers, you’ll want to engage with them. Instagram gives you a tons of ways you can do that very simply. The great thing about Instagram is that it doesn't favor one type of content over another. So you don’t have to worry about hacking an algorithm like you do on Facebook or YouTube. For instance if you don’t like doing marketing videos yet, you can still engage with your followers and bring them tons of value. What’s great is that you can automate posting with FREE Tools. So as easy as Instagram already is, it can be even easier. Don’t Make This Huge Mistake When Trying to “Engage”! Most people promote their businesses in a way that assumes that everyone is ready to buy and join...and the truth is they’re not. You MUST build trust and rapport first, before trying to promote any product. Because people will only buy from, or join, those that they know, like, and trust! Which is the basis of attraction marketing. How do you Gain Trust with Your Audience? VALUE! Value essentially means giving them something that will help them get closer to their goals or solving their problem(s). People follow you because they think that you have some knowledge that they need. When you lead with a pitch, you instantly (and most of the time, irrevocably) break their trust and everything you say or do after that comes under immediate suspicion. And that’s the fastest way to stay broke! Stop "Selling" and Start "Marketing"
There’s a stark difference between selling and marketing that most people don’t get. But the sooner you understand it, the sooner your business will explode. Selling = What it IS. Selling = "In order to sell my product, I have to talk about my product"
Marketing = "In order to sell my product, I have to talk about my customer's needs"
"Our weight loss pill is made from the highest-quality ingredients, DM me if you want to buy!" "Best compensation plan in the industry. Patent-pending. 32 ways to get paid!" "These essential oils are the only organic, all natural oils to be certified "podiatric" grade!" "Learn how to lose 10lbs in 2 short weeks without changing what you eat, click the link in my bio for more info." "Discover 3 ways to replace your income with businesses you can run part time on the internet." "Relieve allergies without drugs with this Allergy Bomb Essential Oils Recipe"
The second group is what marketing, and leading with value looks like. It’s about what your customer wants and needs. It’s about easing their pain and struggles. An easy way to look at is to ‘Sell the CURE’, not the drug. People don't want Tylenol, they just want to get rid of their headache as quickly as possible. People don't want to buy a drill, they just want a darn hole! COMPANION VIDEOWatch Below to Find Out More on How to Effectively Engage with Your Instagram Audience! So by now you should understand that the 99% of the selling really doesn’t get done on Instagram. The value that you share on your profile, is to simply build enough know, like, and trust to get people to click your link...which is where they become a lead. In essence you’re selling the click all the time by providing massive value. As you’ve probably figured out, just because someone follows you doesn't mean they're going to go out of their way and throw money at you! You must simply make it easy for them to become a lead, and to do that you must tell them what to do to make that happen! You must instruct them where to go! The #1 way to get traffic, leads, and sales from Instagram is to put a link in your bio! Then in your posts and in your post captions, after you’ve given them value, you simply tell them to click the link in your bio for MORE! If you’ve already given them value, why wouldn’t they want more right? In your Instagram bio where your link will go, you want to always add a call-to-action. In other words, tell them WHY they should click the link. 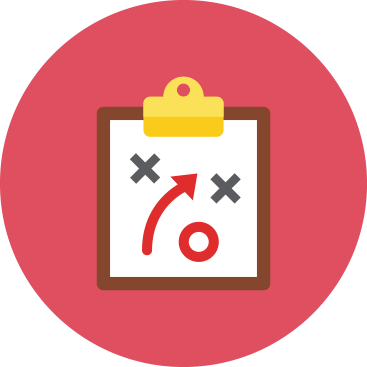 Once they click that link, it will be where they’ll go to a capture page so they can become an actual lead, go to a sales page, get on your email list, and that’s where the selling is done. Instagram is a source for traffic and leads, and your funnel will convert them to sale. Of course when you’re getting dozens to hundreds of new followers a day, have massive engagement on your profile, and are automating a great deal of it...this process goes much faster than you might think. And it happens daily without you doing a whole lot to make it happen once you get the ball rolling! "Within 2 weeks of starting the course I got a few leads and a sale. A month later, the leads are coming in fast! Just from today, I got 10 leads and I'm on the verge of making 3 more sales! IT'S SO EXCITING!" COMPANION VIDEOWatch the Video Below As L7 Leaders Todd & Leah Show You How to Ask for the Sale on Instagram! WRAPPING UPFrom This Instagram Strategy You Now Know How to Market on Instagram Like the Pros! That it’s absolutely possible to grow a large, targeted audience on Instagram. You now know exactly what it takes to create IMMEDIATE interest in your business when you understand how to properly market it on this Billion user platform. Which means you no longer have to prospect one person at a time for endless hours a day. If you take ACTION, it's possible for anybody, with no previous success to get BIG results immediately! Of course now it’s up to YOU to go out there and take action, and make this happen in your business! ACKNOWLEDGEMENT: We want to acknowledge and honor our dear friend and top affiliates Todd & LeahRae Getts for providing the trainings above so that we could serve YOU, our beloved audience. 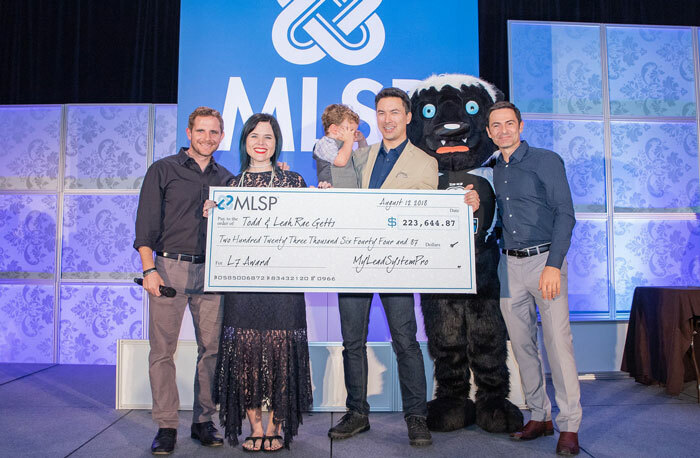 Todd & LeahRae are some of the brightest minds in the industry and we are honored to have them call MLSP home as our newest L7 Leaders! Thank you Todd & Leah Rae for all that you do to help the MLSP Community get better and better every single day! P.S. 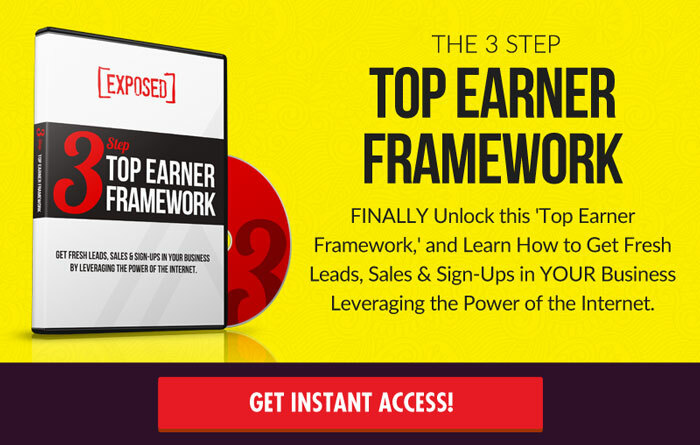 – If you are ready to take YOUR Instagram marketing and business to the next level, Click Here to Unlock the Top Earner System to Grow YOUR Business! Got value from this post? Have your own thoughts? Practical and handy tips that can be implemented right away. Thanks for sharing. Yes! Awesome Helena – Glad you got value from it. If you utilize any of these tips and get some results we’d love to hear them! Thankyou For God &For MyLead.ILove It!!! Thank YOU Elias, we appreciate YOU!